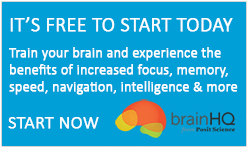 BrainHQ is the result of years of effort by leading scientists from around the world, who have given their input and energy to create a distinctive, rigorous approach to brain training. 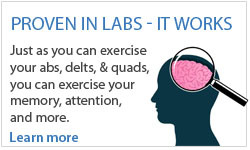 Perhaps even more importantly, many exercises in BrainHQ have been proven to change to cognitive function in dozens of peer-reviewed scientific papers. These changes include better memory, faster processing, and sharper attention—but they also include more confidence, safer driving, happier mood, better health outcomes, and other benefits for everyday life. If you're evaluating brain fitness programs based on evidence of efficacy, there is simply no comparison—BrainHQ has them all beat. Learn more about Dr. Michael Merzenich the co-founder and Chief Scientific Officer of Posit Science. Review the science and peer-reviewed research that demonstrate why brain fitness exercises created by Posit Science really work. Review a list of the remarkable scientists and partners who have completed successful research or who are currently conducting research to demonstrate the tremendous results of BrainHQ exercises. Learn about the dozens of scientists working in the fields of neuroscience, vision, hearing, learning, perception, virtual reality, and more who contributed to the research and design behind the BrainHQ brain fitness program. Review the Institute of Medicine’s Checklist to determine if a brain-training program is scientifically proven. 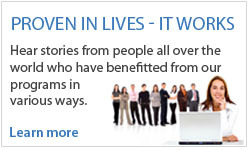 Review the list of completed studies in which one or more BrainHQ exercises were used as an intervention.